Overview… a man in need of a major change. Carl Allen is basically friendless, with a dead-end job and no prospects to improve himself or his life. He mopes alone in his apartment, trying to pass the time with television and dull phone calls. 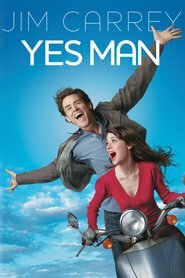 Then one day, he discovers a hot new self-help technique: saying yes to every yes-or-no question presented to him. Something that seems so simple actually presents a whole new world of possibilities. Personality… almost none, before he adopts the “yes” lifestyle. But Carl has embarked on a transformative journey. When he commits to something, he commits to it fully, even if the outcomes are sometimes less than ideal. Through saying yes to life, Carl emerges as a witty, energetic person who loves adventure. He learns quickly and engages people well, once he’s presented with the opportunities to do so. Carl Allen's popularity ranking on CharacTour is #4975 out of 5,000+ characters. See our top-ranked characters and read their profiles.